EDINBURG — An El Paso man was sentenced to life in prison earlier this week for the death of a local longtime educator. 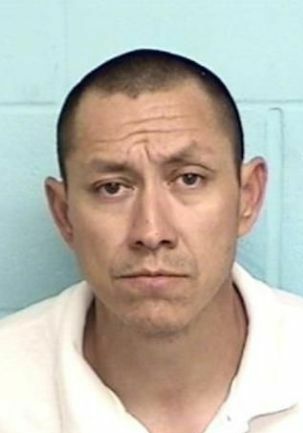 Claudio Alberto Morales, 44, began his lifetime sentence Wednesday, weeks after a jury of his peers found him guilty in the murder of Arturo Noe Sanchez. Morales was on trial for killing the 62-year-old McAllen man more than a decade ago. Sanchez spent nearly 40 years serving the Edinburg school district; at one point he was the Edinburg High School’s dean of instruction. The McAllen native also taught in the Pharr-San Juan-Alamo school district for a brief stint. Authorities said that on Dec. 19, 2005, officers responded to the 2000 block of West Beaumont Avenue in McAllen and discovered Sanchez on his bed, covered in blood, after authorities said he was stabbed to death during an apparent robbery-turned-homicide. The suspect, later identified as Morales, made off with money and Sanchez’s vehicle, which was found a day later, police said. But it would be five long years for police to get a break in the case on who could have killed Sanchez. In late 2010, Texas Department of Public Safety lab technicians, who had evidence from the crime scene investigation at Sanchez’ home, sent a report to McAllen police notifying them that DNA samples from the murder case positively matched those from two separate bank robberies, one in Las Cruces, N.M., and one in El Paso. Tests showed that DNA samples taken from Sanchez’s bloody underwear, confirmed that it was Sanchez’s blood, but also it showed there was someone else’s blood on the garment. Technicians determined that Morales’ DNA matched the other blood, police said. Police also said friends who were interviewed told investigators that Sanchez was with them hours before he was killed, and that he only left after he received a call on his cell phone. Authorities used a photo of Morales and that of surveillance footage from a gas station phone he used to call Sanchez on the night of the murder, investigators said in their court documents. Months after the DNA discovery — in January 2011, a local municipal court ordered an arrest warrant for Morales in connection with the murder. At the time, Morales was in custody of the U.S. Marshals Service, on separate federal criminal charges. Despite the break in the case; it would be another three years before Morales, who spent time in federal custody awaiting his transfer back to McAllen, was formally arraigned in a Hidalgo County state District Courtroom, according to court records. In late April after a few days of testimony, jurors found Morales guilty of Sanchez’s murder.